The actress has not had a hit since 2015, and has been dogged by controversies instead, but trade pundits do not see any of that hurting Manikarnika's initial draw. 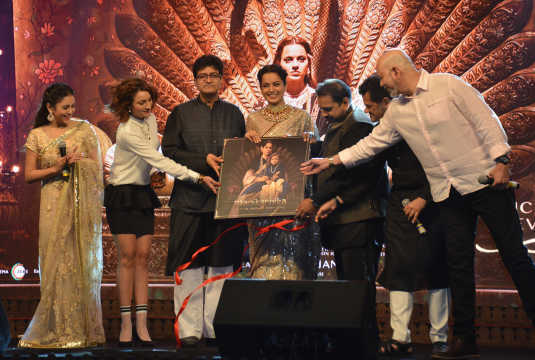 Kangana Ranaut was the first Hindi film actress to deliver a Rs100 crore hit on her own steam and is justifiably proud of it, but Tanu Weds Manu Returns (2015) was four years ago and a lot has changed since as she prepares for the release of the epic Manikarnika. The Queen Of Jhansi on Friday. Manikarnika is the story of Laxmibai of Jhansi who fought valiantly against the British during the First War of Independence. The film is special not only as a biopic of the valiant queen, but also because it is crucial for its leading lady's career. Ranaut is not just the film's heroine. She also took charge of the direction after Radha Krishna Jagarlamudi, better known simply as Krish, walked out. The period film has been produced by Zee Studios and Kamal Jain’s Kairos Kontent, and co-produced by Nishant Pitti of Easemytrip.com. Zee Studios is also distributing the film. The story is by Baahubali franchise writer KV Vijayendra Prasad and the music by Shankar-Ehsaan-Loy with lyrics by Prasoon Joshi. Ranaut has also had solid financial backing on the project with a budget said to exceed Rs100 crore. But after Tanu Weds Manu Returns, Ranaut's Katti Batti (2015), I Love New Year (2015), Rangoon (2017) and Simran (2017) all bombed. And Alia Bhatt has become the second actress, with Raazi (2018), to headline a Rs100 crore film. Ranaut, meanwhile, has been making news more for her tiffs with industry bigwigs like Karan Johar and Hrithik Roshan than for her films. She even riled people who worked with her. Editor-writer Apurva Asrani blamed Ranaut for his removal from Simran (2017). She supposedly also had a falling out with Krish, causing him to leave Manikarnika midway. Ranaut has made quite a few enemies in the past few years. And the feisty actress has not shied away from acknowledging that. "I do feel there are people waiting for me to fail," she told the Press Trust of India news agency. "That there are people who are waiting to prove to themselves that she is not the real deal, to make themselves feel better. My failure is important to them." But co-producer Nishant Pitti said he gave no consideration to these things. “We were confident, that is why we invested in the movie," he said. "Actually, we were the first to invest in the film, and then came Zee Studios." 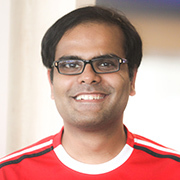 The Easemytrip founder-CEO expressed confidence in Ranaut as an actress. 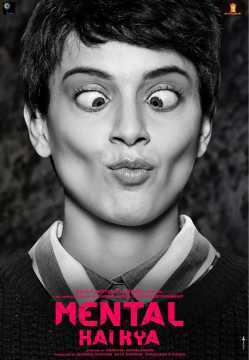 “We were confident that Kangana is the only actress who can play this role. She has given her 100% to make the film a success,” he said. Yes, Ranaut's talent is undisputed, but won't the controversies hurt Manikarnika? “On the contrary, Kangana has emerged as this anti-establishment, anti-nepotism actress," Wankhede argued. "That has made her popular with the masses." Seasoned trade analyst Vinod Mirani, too, felt that all the controversies will have no bearing on the film's fate. “Who is not controversial here?" he countered. "It is not the film industry but the audience that will decide the film's fate. The industry is such that when someone’s film is released, most other people wish for it to fail. So, as an actor, a filmmaker, you are always standing alone when your film is released. Kangana doesn’t need them. She has made her own film." Bijoor, too, felt the film has generated good buzz, and Ranaut's reputation as an actress is a huge draw. But gone is the swag Ranaut displayed before the release of Rangoon (2017), when she proclaimed that she was the film's third hero and was being paid on a par with her male co-stars Saif Ali Khan and Shahid Kapoor. With Manikarnika, she has been more modest. "I'm just a small part of a big film,” she said at the music launch. The actress is collaborating with stalwarts like Vijayendra Prasad, Prasoon Joshi, and Shankar-Ehsaan-Loy on this film. The usually restrained Joshi waxed eloquent in praise of Ranaut, singling her out as the reason why he took up the project. But Manikarnika faces formidable competition at the box office in the form of the Nawazuddin Siddiqui-starrer bilingual Thackeray, a biopic on the late Shiv Sena founder Bal Thackeray. Despite that, Wankhede projected a good opening weekend for Manikarnika. Having endured a tough time, however, Ranaut would probably not want to wait that long to become queen of 'Bollywood' again. Buzz: Has Kangana Ranaut refused co-director credit for Manikarnika?